Do your kids love unboxing videos? Then your kids are going to love this YouTube channel! What is it about unboxing videos that people love? I could sit for hours watching Dina Tokio unbox things she gets in the mail. Why is that? Maybe it's the same thing that makes me love watching people open gifts they've gotten. It's the reason why we love watching people open their gifts at baby showers and bridal showers. As my mother would say: "Jy's net nuuskierig!" I think it's human nature though because do you know what my 4-year-old loves watching on YouTube? Toy unboxing videos. And surprise eggs. What's in the egg?! Same thing that was in the last 5 eggs but in a different colour! Over and over. There are so many channels dedicated purely to unboxing videos and their subscriptions are of the biggest on YouTube. Prima Toys has joined the party with a whole YouTube Channel dedicated to the unboxing of toys and it's rather fun to watch. In a series called ‘The Very Serious Toy Show’, presenter "Sash" takes us through all the fun and exciting things they're bringing to South Africa. She has an in depth knowledge of the brands and products and how they work, and this ensures that the information imparted is correct and comes across authentically. 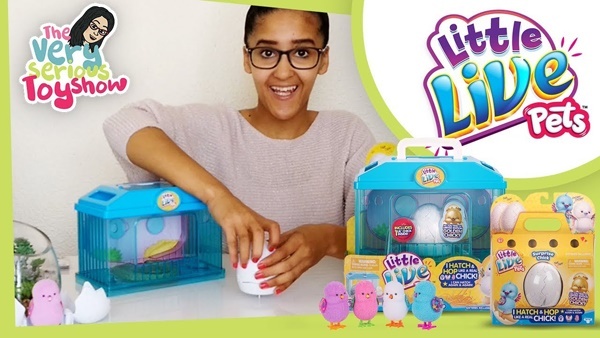 Marketing Executive of Prima Toys, Chiquita Patrizi, says: "Unboxing videos provide us with the opportunity to quite literally unpack products and show the viewer what is inside. This way, both parents and their children know exactly what is in the box and what they will be getting. This allows them to make an informed decision before purchasing a product- it also provides great entertainment for the children watching." For more unboxing videos and to see what new and exciting toys Prima Toys is bringing you, subscribe to their YouTube Channel here. Do your kids love unboxing videos? Send us your thoughts on this trend to chatback@parent24.com and we could publish them.